1. my shiny gold nails! I don't know if it was the Saints kicking off the football season or I was just in a festive mood but I decided to mix in some glitter to my clear topcoat (a little DIY experiment) and bam, the sparkle nails came alive! 2. Pumpkin Spice Lattes are back at Bucks and I could not be more excited! 3. 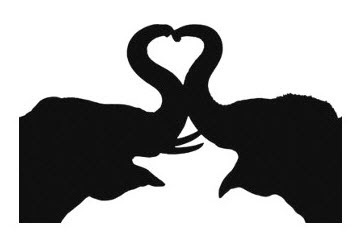 This adorabe elephant silhouette print. Since the theme of my wedding is elephants (shhhh, thats a secret) this is too cute and too perfect not to buy. So my lovely readers, what are you loving lately? ooh nice to see a photo of you!! :) Love the top!! Lots of good things on this list! Alice + Olivia and Pumpkin Spice are two of my all-time faves. You're a girl after my own hear! love that top! and Elephants!! Good call! Just to let everyone know, my vote was YES on that top. Isn't it perfect on her! Love it. Love psl. 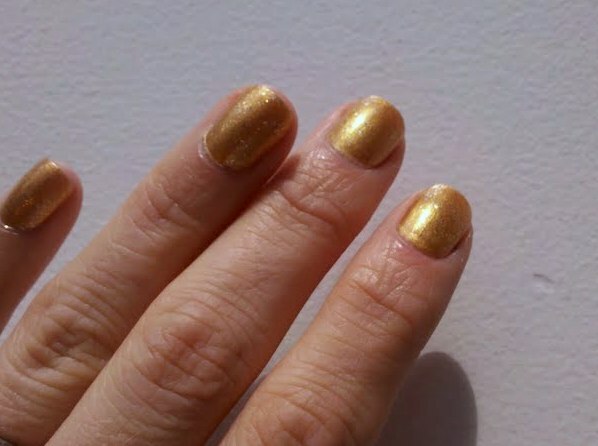 Adore the nails. Love the elephants. I guess that's why I like you, we love so many of the same things. ha. I love a little nail bling! I also love glitter, so the top is a keeper! 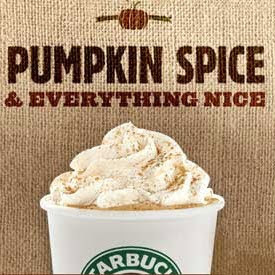 Pumpkin spice, yum, thanks for the heads up, its on the errand stop for tomorrow! 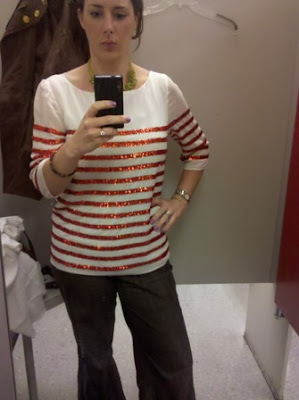 Okay, I would have never thought to take a picture while trying on clothes to get an opinion! That is pretty funny, and what a find, btw! So cute. As for the elephants, send pictures. Alabama fans love those elephants! I'm loving the fact that I had that Starbucks picture as my Facebook profile pic for a while - I was also THAT excited... and the fact that I'm not the only one who takes dressing room pictures for an objective opinion! Oh, and I'm loving football season and the fact that, while still too hot, it's not been over 100 degrees here in, like, 2 weeks! I'm usually loving things for my girls, but as for me, I'm dying for a big, blingy Michael Kors watch! Where where WHERE did you get that top? It's so pretty! No way - I want an Alice + Olivia shirt for $44! LOVE that top. And so excited about pumpkin spice lattes being back! Pumpkin spice is BACK!! Woohoo. Oh I love the p spice. Fall is around the corner!! Camera phones are a MUST! I am have been fantasizing about building a pool! I broke down and posted about my famous landscape architect friend, so we could see his glorious swimming pool sites. Infinity Edge is my new passion! & the theme for your wedding excites me. seriously. i can't wait to see what you come up with. That shirt was such a score- love it! Oooooh. Golden nails and pumpkin chai latte. life is good, eh? We love so many of the same things! Didn't know the pumpkin spice lattes were back and I think I will need to get one tomorrow! Love them! I also love sending pics to my friends with my camera phone. Getting a second opinion is always great. We used these stickers for the hotel bags at our wedding...they looked so great. I love elephants too! I am loving the fact that you reminded me about my favorite fall drink at Starbucks! And your fab new top too...how cute are you! love your top. and i have gold TOES!!!!!!!!!!!! I share all of your loves!